We’re kicking off 2019 by sending out two incredible new books into the world. The first congrats go to Marie Benedict, bestselling author of THE OTHER EINSTEIN and CARNEGIE’S MAID, as her latest novel, THE ONLY WOMAN IN THE ROOM, is released today. This historical fiction tells the incredible story of Hedy Lamarr, Hollywood icon and underestimated scientist. Congrats also to Erica Armstrong Dunbar and Kathleen Van Cleve, whose Young Readers Edition of National Book Award Finalist for Nonfiction, NEVER CAUGHT is released today. 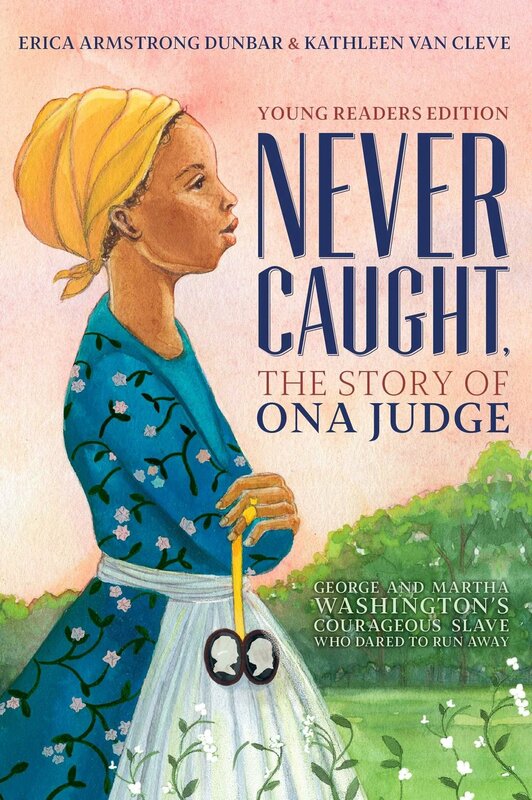 NEVER CAUGHT is the eye-opening narrative of Ona Judge, George and Martha Washington’s courageous slave, who risked everything for a better life. Born into a life of slavery, Ona Judge grew up to be George and Martha Washington’s “favored” dower slave. When she was told that she was going to be given away as a wedding gift, Ona made the bold and brave decision to flee the most powerful couple in the country. Now middle-school readers can read about this little-known, but powerful figure in history.